Ethan is a father of three. 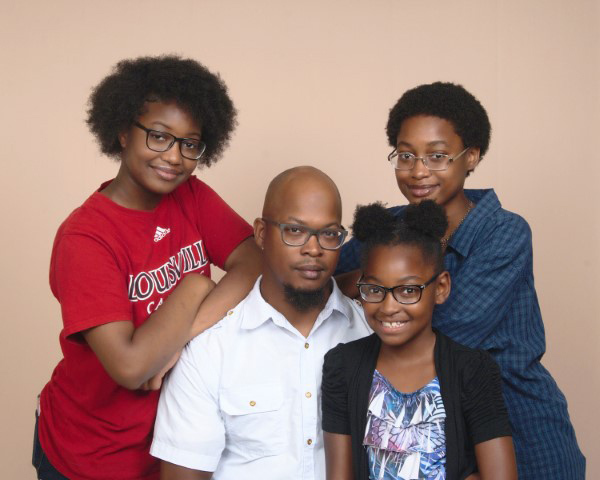 He and his daughters are participants in the NCFL Family Learning program at 2NOT1 Fatherhood and Families in Kentucky. NCFL Family Learning includes adult skill building, Parent and Child Together (PACT) Time®, and Parent Time in which participants learn how to better support their children in and outside of school. 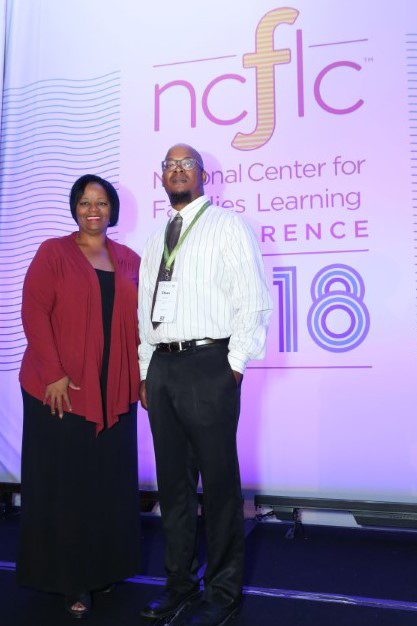 Ethan was recently invited to share his family literacy story at the 2018 Families Learning Conference. To understand Ethan’s journey, you’d have to take a peek into his childhood. At a very early age, his mother would take him to her night classes, his carrier in one hand and a tattered book bag bogged down with books over her shoulder. As a single parent, she always stressed the importance of education to her three biological children, as well as the seven other children she would take in during the course of his childhood. After her death, Ethan battled depression and struggled to focus in school. He went from taking AP classes to dropping out of high school his senior year. That same year, he took a trip to Panama City Beach, Florida. It was there, on the shores of the Gulf of Mexico, that he decided to let go of all of his pain, anger, and frustration. He came to terms with his mother’s death while sitting on a rock on the beach. In the years following, he and his high school sweetheart became the proud parents to three girls. Unfortunately, after suffering injuries from multiple car wrecks, the girls’ mother became addicted to prescription pain medication. When her addiction reached its height, Ethan and his partner decided that it was best to separate and that their daughters live with Ethan full-time. When his longtime friends had trouble relating to his daily struggles, he decided to look for a support group of sorts. That’s when he found 2NOT1 Fatherhood and Families. “Dr. Turner and the staff at [2NOT1] welcomed me with open arms,” he said. In NCFL’s Family Learning program, parents record the time they spend with their children doing learning activities (Parent and Child Together [PACT] Time®) and the time they spend doing activities that improve themselves as parents (Parent Time). Ethan had no issue filling out the PACT Time log because he is highly involved in his kids’ lives. However, his Parent Time log was a different story. Through numerous conversations at 2NOT1, he found that this is a common theme for parents. He began to see that he couldn’t take care of anything if he didn’t take care of himself first. Eventually, with the gentle nudge of Dr. Turner, he began to exercise at the gym again, focus on his career path, and push for a sense of stability in his family’s life. Within a matter of four months, Ethan and his daughters went from staying with family friends to securing their own house. He got a job with the Board of Education and has recently begun looking into furthering his education in the education field. The NCFL Family Learning program also inspired Ethan to become more active in his community. Family Service Learning, a component of the program, was a tool that mobilized his family to go out in the community and help provide much-needed assistance to the less fortunate. Through Family Service Learning, he and his daughters have organized Trunk or Treats with local care clubs for kids in underserved neighborhoods, organized a massive Easter egg hunt, and made Thanksgiving turkeys out of apples with seniors living in nursing homes.